She's hopes he's done with trouble. But is trouble done with him? Some crimes can never be forgotten. But when Lizzie's brother comes home after serving his time, she tells herself that folk will turn a blind eye. Lizzie is wrong. And she and her girls will pay the price. 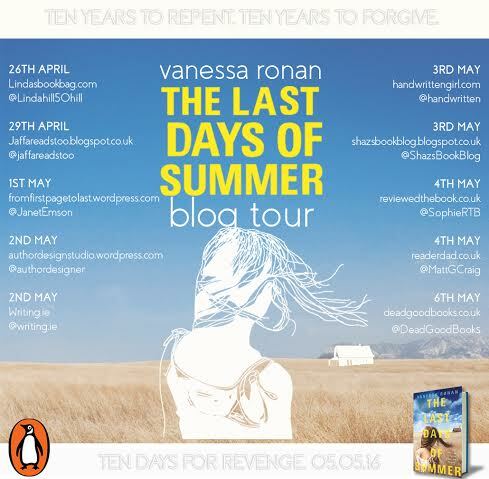 The Last Days of Summer by Vanessa Ronan is a stunning debut novel. Set in a small praire town in West Texas, Ronan creates a tale that is terrifying and captivating at the same time. 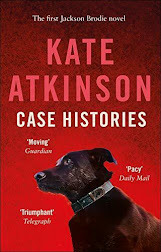 Lizzie's brother Jasper has spent ten years in prison and he is now returning to the family home that Lizzie shares with her two young daughters Katie and Joanne. Lizzie has no idea what to expect, she just hopes that the people in their small town will see that Jasper has served his time and allows him to move on with his life. 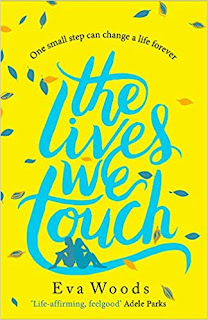 That simply does not happen though and soon everything that Lizzie holds dear is put in jeopardy and for what; does she truly know the man she has let into her home? I've read some reviews of this book that have criticised it as being slow but I can't agree. I think that Vanessa Ronan uses the pace to reflect the atmosphere of the small town setting, she then adds layer upon layer of tension until it almost becomes unbearable. I loved the relationship between Jasper and Lizzie's youngest daughter Joanne, It very much captured childhood innocence, Joanne doesn't care that Jasper has done, she just wants to be his friend. 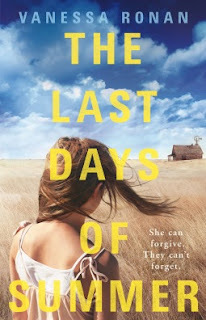 I highly recommend The Last Days of Summer, Vanessa Ronan is an exciting new author. Many thanks to Penguin for sending me a copy of this book to review.